Lord Rana was raised to the peerage as Baron Rana of Malone in the County of Antrim in 2004. He is affiliated with the Conservative Party. Born in Sangol in India, Lord Rana is the oldest sibling of three brothers and two sisters. He has lived in Belfast since 1966 andhas been targeted 26 times in Northern Ireland bombings. Managing director of Andras House Ltd since 1981, he was made a peer in 2004. He promotes business links between India and Northern Ireland and has been elected president of the Northern Ireland Chamber of Commerce. He led a trade mission of 13 companies to India to explore business opportunities for Northern Ireland companies. Dr. Rana has been appointed a MBE for his contribution to the economic regeneration of the city of Belfast through the development of hotels, restaurants, fashion shops and modern office accommodation. 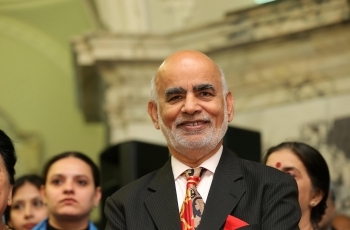 He is also India's honorary consul in Belfast.